Four high school students from central Colombia were hospitalized after they went hysteric playing the Charlie Charlie Challenge, supposedly summoning a Mexican spirit. 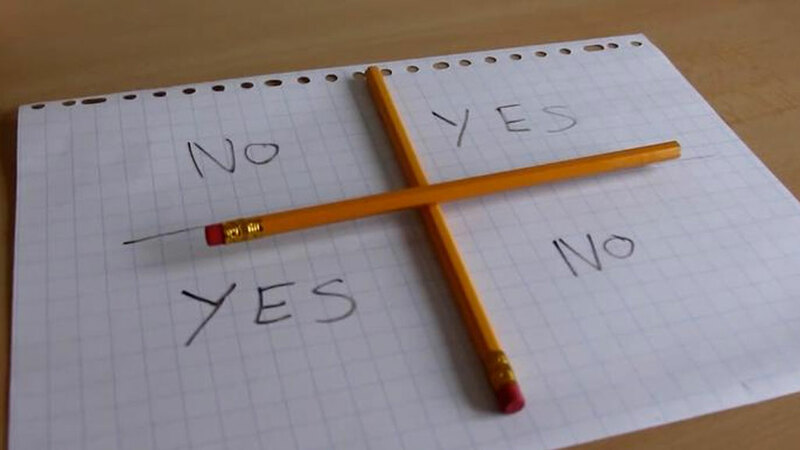 The Charlie Charlie Challenge is a game of unknown origin that went viral globally in the past weeks. According to popular belief, players are able to communicate with a Mexican spirit that answers question by the unbalancing of two crossed pencils laid on a paper with “yes” and “no” written on it. Even though it has become common knowledge that the moving of the pencils is the result of the forces of gravity as discovered by Isaac Newton in 1687, four girls went hysteric after seeing the crossed pencils move, believing they were actually making contact with a spirit. The situation at the Simon Bolivar high school got out of hand after which the four hysteric girls were taken to the emergency room of the local hospital by ambulance. On arrival, all four showed “stable vital signs and were basically disoriented. They got a diagnosis of ‘mass hysteria’ with some psychotic symptoms,” said Juliana Cortazar, manager of the Santiago de Tunja hospital. After calming the girls down, the hospital sent them home. Over the past few years, dozens of Colombian girls have been sent to hospital after claiming to have had contact with demons of spirit, mainly after playing Ouija.